Targeted social media marketing to boost your online community. Social Media today has become a necessity for businesses for gaining traffic and exposure. Digital marketing has become much more effective and cost efficient versus print advertising in many applications and Facebook is the go-to platform. You can advertise to a certain demographic and target exactly who you want to focus on. JH Design offers several services to help you take advantage of these benefits. JH Design can create a custom page for your business for a flat fee of $100. Click on an image to see it at full-size. JH Design offers packages for creating weekly timeline posts which usually contain a picture with caption, message, or link related to your company’s message or products. 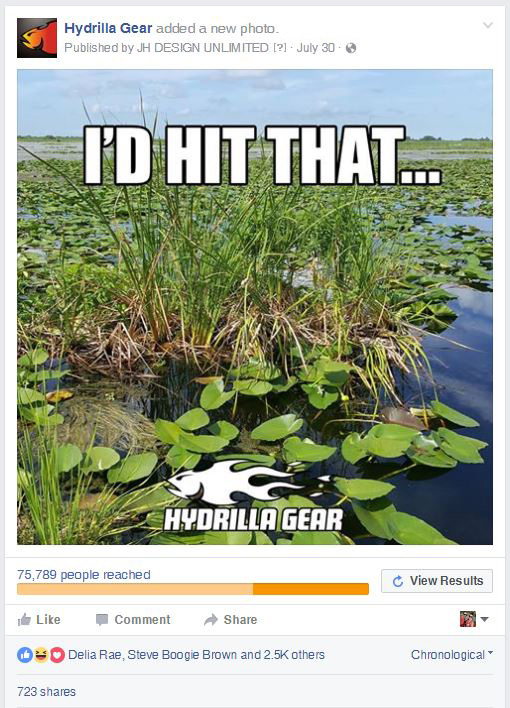 If we find that a particular post is very humorous or interesting we have an option to “boost” the post with a set budget to gain likes and exposure. The image on the right showcases a basic post we designed and posted for our client and after boosting it to a targeted audience, it gained over 75K views with over 2.5K likes and 723 shares. The buzz it created helped bring attention to the customer’s business page. In addition, we have packages for creating ads that offer a discount or promotion that can be boosted for a set budget to reach a very specific target audience using Facebook Ads Manager. With as little as $50 you can reach thousands of people. Below are some examples of ads we designed and then boosted to a specific demographic with a minimal budget to obtain excellent results! Click on the images to view the full post/ad. 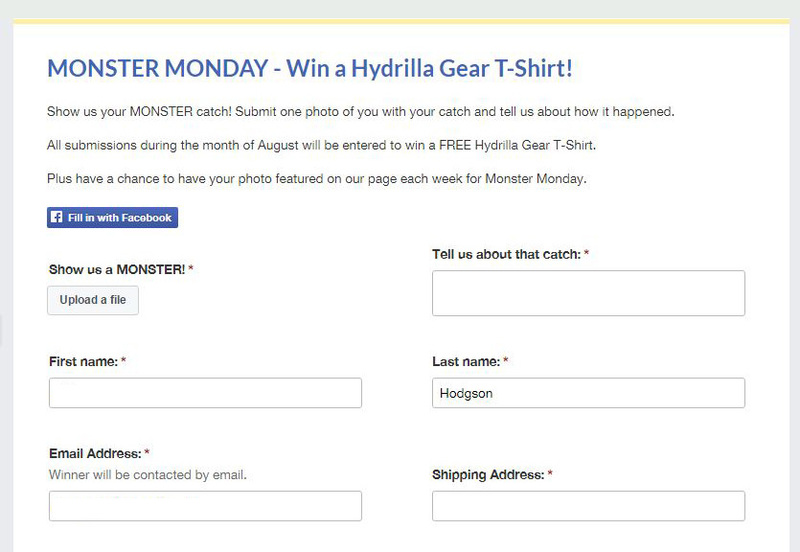 JH Design has a contest app that allows us to create custom contests for your business page. We can generate a form which requires applicants to fill out specific information or simply have a 1 button click-to-enter option. We monitor the contest to ensure audience participation in addition to monitoring messages and comments relating to the contest to answer any questions or concerns. When the contest expires we randomly select a winner and notify them via Facebook or email. Contests are great for gaining Likes and Followers. We always recommend boosting the contest for a set budget to gain as much exposure as possible. So if you have a prize to giveaway or a special discount or promotion to share, a contest is a great way to create some buzz. Below is a couple of examples of contests that we created and monitored for our clients. JH Design has several social media packages to offer your business. If you would like pricing on any of these items please contact us and we will send you a custom proposal. Remember, we are not an all or nothing company…we are happy to help with just a little or help with ALL your needs when it comes to social media marketing.